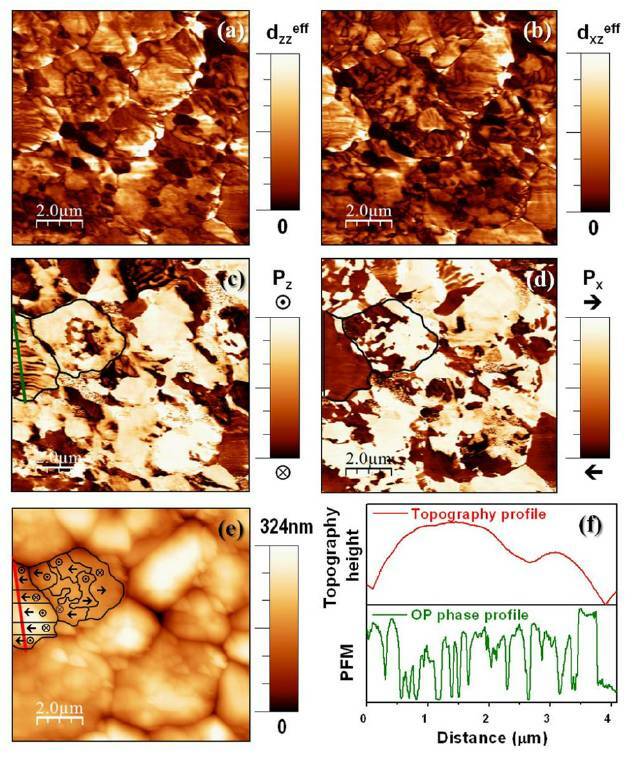 The quantitative microscopy laboratory has a Nanotec Electrónica Scanning Force Microscope equipped to work not only in contact and dynamic modes to study the topography of the samples but also to carry out IV (Intensity vs. Voltage) experiments and Piezoresponse Force Microscopy (PFM). 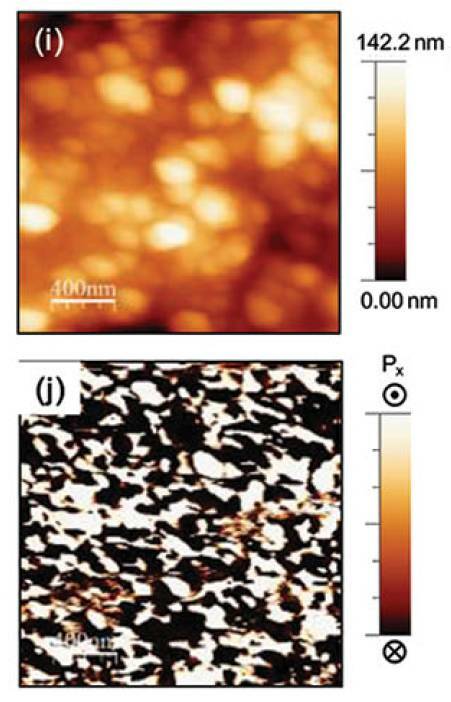 Two lock-in amplifiers allow us to obtain simultaneously out-of-plane and in-plane information of the piezoelectric response of the materials under study. 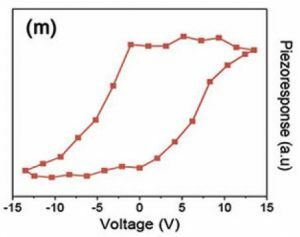 When necessary voltages up to 150 V can be applied. 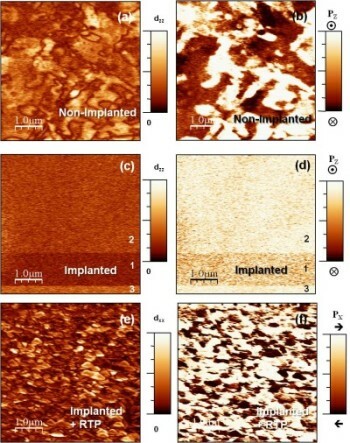 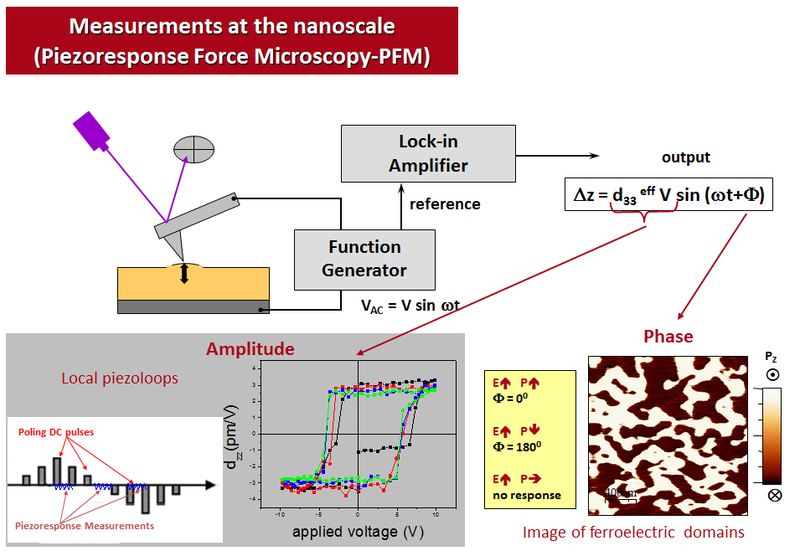 In this figure we summarize the fundamentals of Piezoresponse Force Microscopy.